It’s not officially announced yet, but Hackerfarm is actually getting a second cafe. This cafe hasn’t been used in quite a while and rather than trying to run it as a cafe, we’ll be using it as a community center and events space where people in the community can host private gatherings. 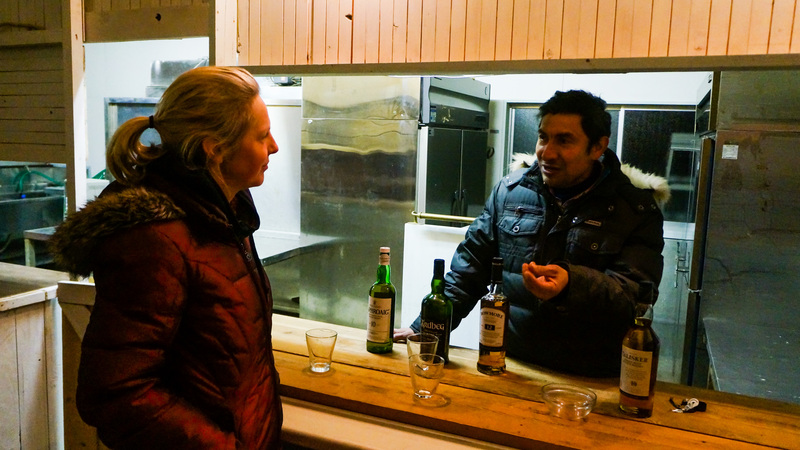 To test out the concept, Jacinta, Adrian, and I opened up a private, popup whiskey bar…twice. It was a lot of fun and it’s something that we’ll probably do on a regular basis. 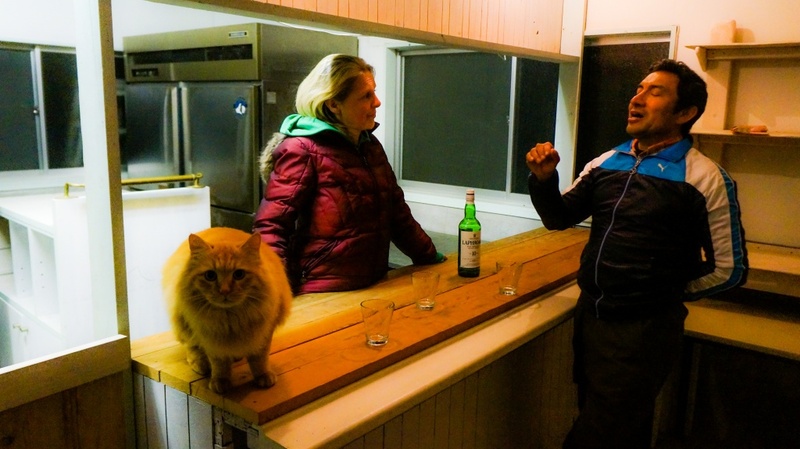 Here’s us three at the first whiskey bar in almost sub-zero weather. 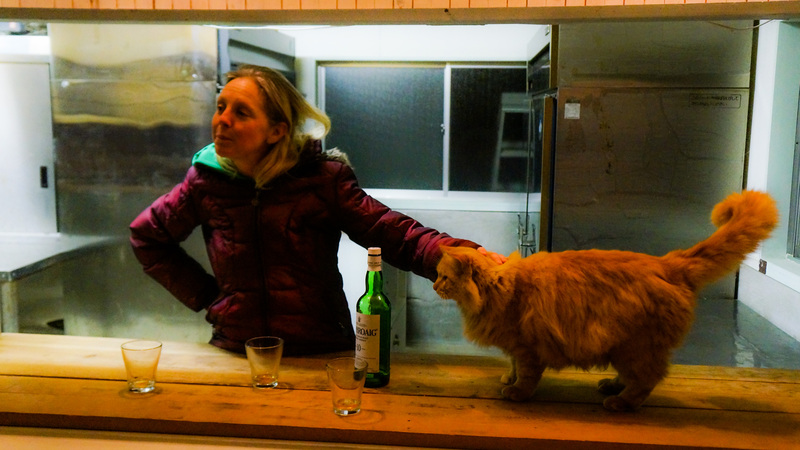 One of the Hackerfarm cats, PDP-11, decided to join the bar festivities too. Both our cats know how to open the doors so PDP just let himself in and jumped on the table. 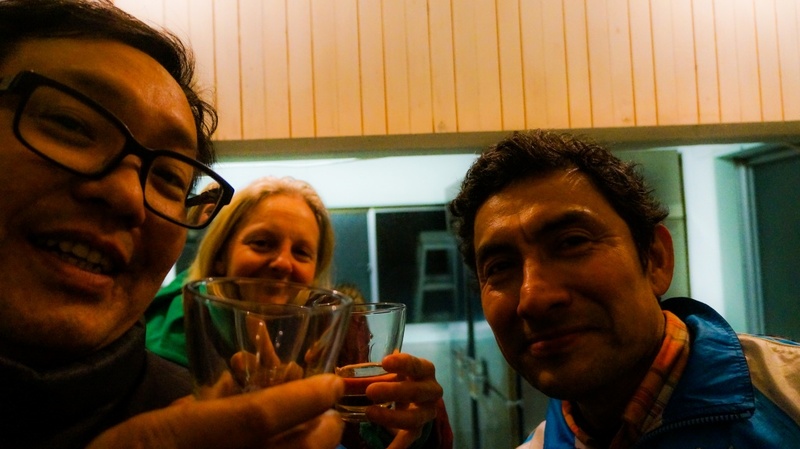 Jacinta and Adrian were having a spirited conversation about agriculture while PDP was wondering what I was doing. 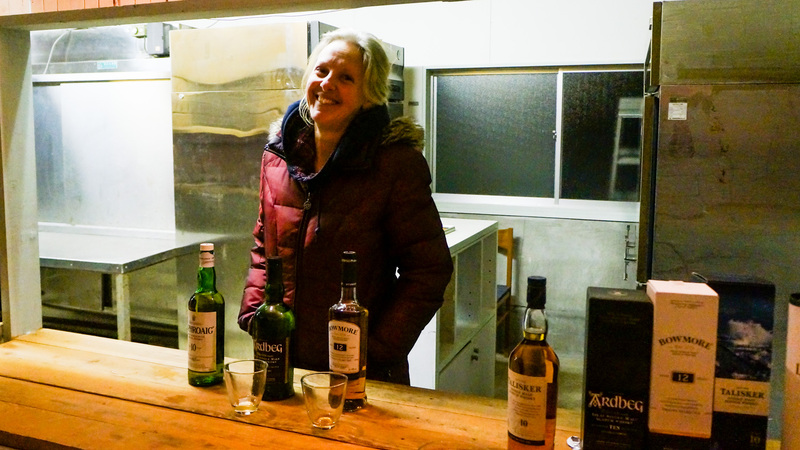 Last night, Jacinta had the second trial of her whiskey popup bar. She brought out her single malt scotch collection and let us choose the scotches we wanted to try. We ended up going with the Laphroaig, Ardbeg, and Bowmore. 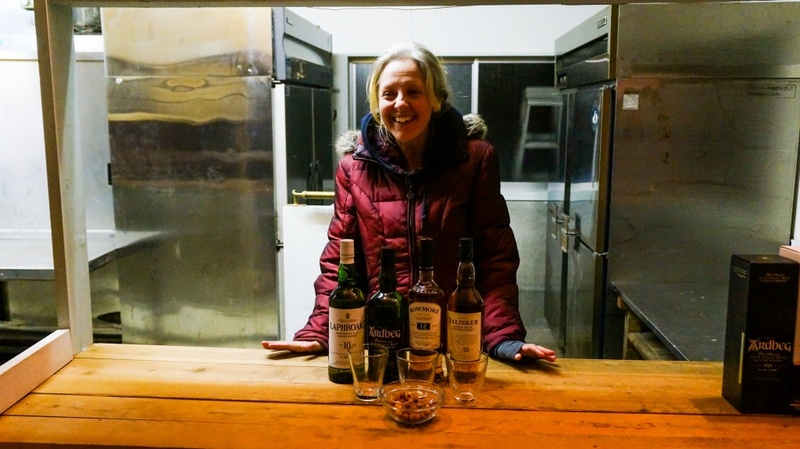 Jacinta then proceeded to tell us about the history of the whiskey, what she liked about it, and how we’ll be touring Scotland someday to visit all the whiskey distilleries. We also had general discussions on agriculture, our upcoming Mexico trip, and the meaning of life. Adrian had a go at being behind the bar also and quite enjoyed being the barmaster. We’re thinking to pick up a bunch of tequila on our upcoming trip to Mexico and curate a tequila tasting night. He was explaining all the details about tequila that I never realized, like how it was made, how to properly drink it, what it can be used for, etc. I didn’t realize that me and most of my friends have been drinking tequila incorrectly our whole lives. 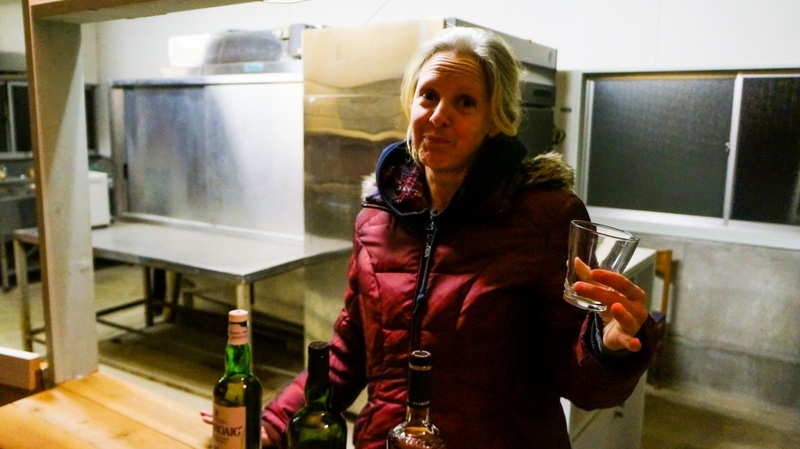 It’s really nice having a private whiskey bar and we’re thinking to open it up once a month to friends for whiskey tasting, smoked food, and good conversation.